岩田有史, 田島知之.「贈与以前−ヒト科類人猿の食物分配−」 岸上伸啓（編）『贈与論再考−人間はなぜ他者に与えるのか』 臨川書店, 2016年8月2日. 田島知之.「人はなぜ他者に与えるのか: 霊長類研究というアプローチ」ER第4号 富士通総研 経済研究所, 2017年. 田島 知之, 谷口 晴香, 山梨 裕美, 大谷 洋介, 小川 詩乃, 早川 卓志, 本郷 峻. 「第23回国際霊長類学会大会におけるStudent Affairs Workshopを終えて」. 霊長類研究, Vol. 27(1), pp.57-62 (2011) . 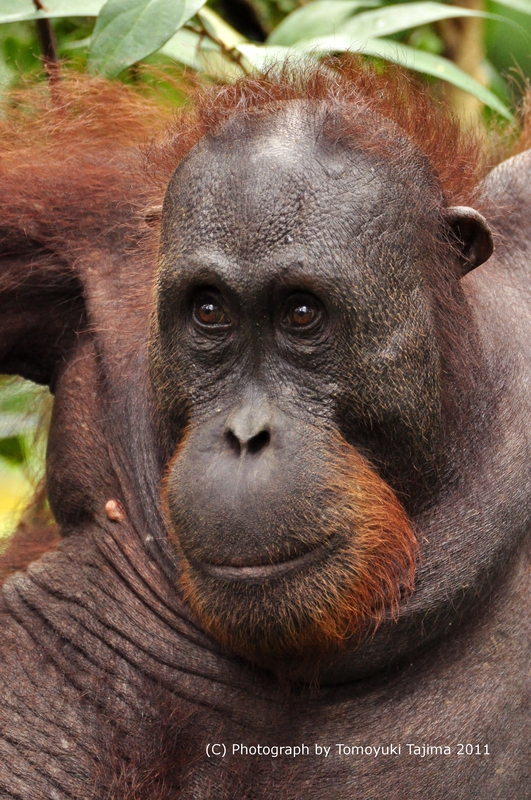 Tajima T, Malim TP, Bernard H. 2014年8月12日（口頭）"Difference in Mating and Reproductive Success Between Two Morphs of Sexually Mature Males in Free-ranging Male Bornean Orangutans." The 25th Congress of International Primatological Society. Hanoi, Vietnam. 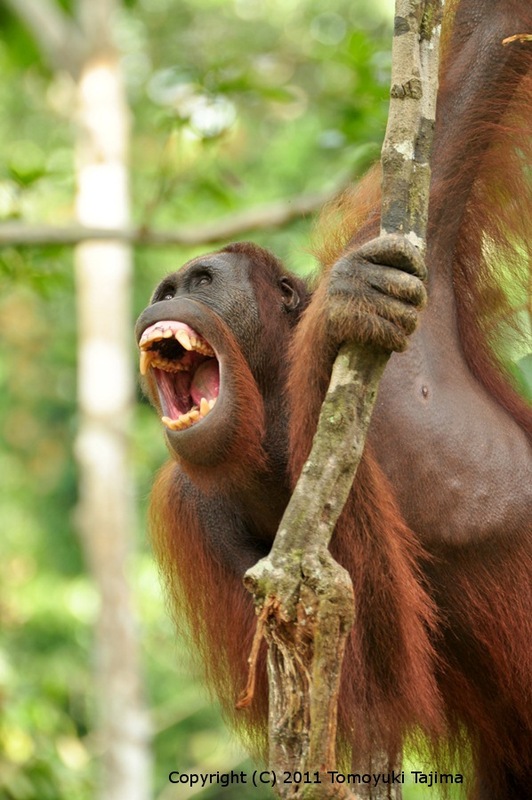 between Two Morphs of Sexually Mature Males in Free-ranging Bornean Orangutans." The 3rd International Seminar on Biodiversity and Evolution. Kyoto, Japan. Tajima T. 2013年6月11日（口頭）"Male Bimaturism and Reproductive Success of Bornean Orangutans"　2nd International Seminar of JSPS Core-to-Core Program "Tropical Biodiversity Conservation." Tajima T, Malim PT, Bernard H. 2012年9月（ポスター） "Mating Success of male Bornean Orangutans in Sepilok Orangutan Rehabilitation Centre, Sabah, Malaysia" JSPS Core-to-Core Program "The 1st International Seminar on Biodiversity and Evolution." Kyoto, Japan. Tajima T, . 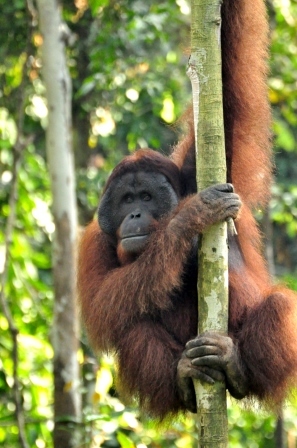 2012年8月(ポスター) "Mating Success of Male Bornean Orangutans (Pongo pygmaeus) in Sepilok Orangutan Rehabilitation Centre, Sabah, Malaysia." The 24th Congress of International Primatologist Society. Cancun, Mexico. Tajima T, Malim PT, Bernard H, Inoue E. 2012年3月(ポスター) "Mating strategies and reproductive success of male Bornean orangutans(Pongo pygmaeus) in a semi-wild population" The 5th EAFES International Congress, Shiga, Japan. Tajima T. 2011年7月(ポスター) "Food transfer and peering behavior in rehabilitated Bornean orangutans in Sepilok Orangutan Rehabilitation Centre, Sabah, Malaysia." The 5th International Symposium of the Biodiversity and Evolution Global COE. Kyoto, Japan. Tajima T, Kurotori H, Takeda S. 2010年9月(口頭) "Non-aggressive interventions in conflicts among captive Bornean orangutans(Pongo pygmaeus)" The 23rd Congress of International Primatologist Society. Kyoto, Japan. Tajima T, Kurotori H, Takeda S. 2010年6月(ポスター) "Non-aggressive Intervention by third-parties in Conflicts among Captive Bornean Orangutans" The 4th International Symposium of the Biodiversity and Evolution Global COE. Kyoto, Japan. Tajima T, Malim TP, Bernard H.2017年1月27日 "Patterns of Food Transfer in Free-ranging Orangutans" 第61回プリマーテス研究会。日本モンキーセンター（愛知県）. 田島知之.2013年3月6日(ポスター)「Who is the most successful sire? : Male reproductive success of Bornean orangutans in a semi-wild population」日本生態学会第60回大会. 静岡コンベンションセンター(静岡). Kuze N, Tajima T, Kanamori T, Yamazaki S, Malim TP, Bernard H. 2014年8月12日. "Reproduction of Female Orangutans (Pongo pygmaeus) at Sepilok Orangutan Rehabilitation Center and Danum Valley Conservation Area." The 25th Congress of International Primatological Society. Hanoi, Vietnam. BBC EARTH NEWS "Bornean orangutan acts as 'peacemaker' in Japan zoo" January 2010. EL MUNDO "El orangutan pacificador" January 2010.